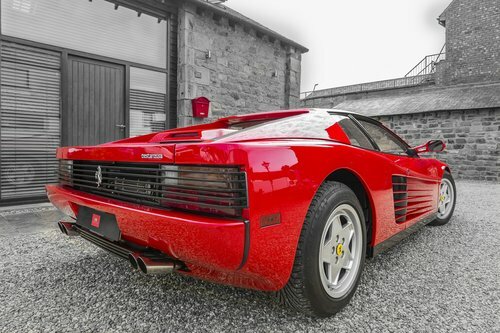 THE FERRARI TESTAROSSA IS ONE OF THE MOST RECOGNISABLE FERRARIS OF ALL TIME, AN ICONIC SUPERCAR AND ENJOYABLE CAR TO OWN. 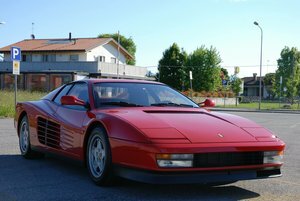 THE TESTAROSSA IS THE LAST OF FERRARI’S GLORIOUS MID-ENGINED FLAT-12 CARS TO BE PRODUCED. 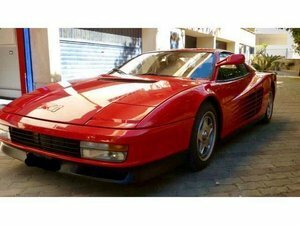 THIS OUTSTANDING FERRARI TESTAROSSA IS MY OWN PERSONAL CAR AND REGISTERED TO ME. 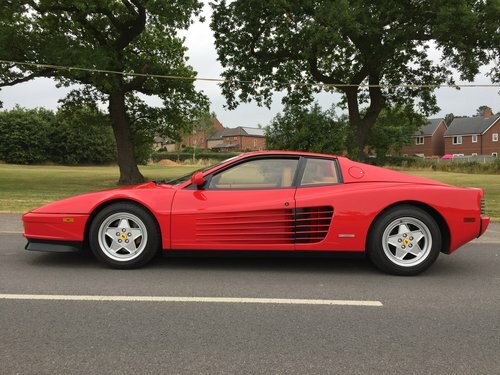 A STUNNING LOW MILEAGE TESTAROSSA IN THE PERFECT COLOUR COMBINATION OF ROSSO COACHWORK AND TAN INTERIOR. 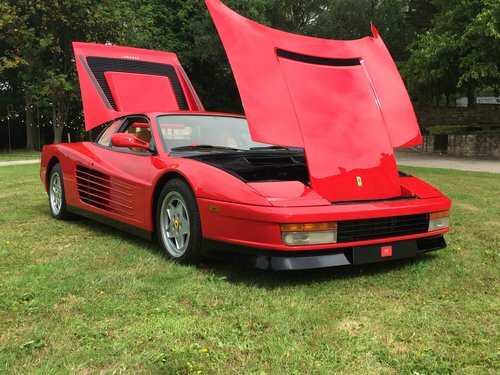 THIS BEAUTIFUL CAR WAS A SHOW WINNER IN THE UNITED STATES AND WAS IMPORTED TO THE UK IN 2015. 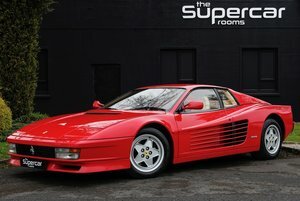 SINCE SHE ARRIVED IN THE UK SHE HAS HAD WELL IN EXCESS OF £30,000 LAVISHED ON HER BY LEADING SPECIALIST HOYLE FOX. 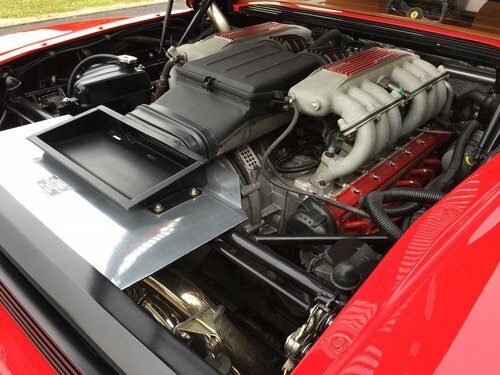 THERE ARE INVOICES FOR WORK CARRIED OUT OVER THE LAST 3 YEARS BY HOYLE FOX, INCLUDING WORKS TO THE ENGINE, GEARBOX, BRAKES, RADIATORS, SUSPENSION AND ELECTRICS. 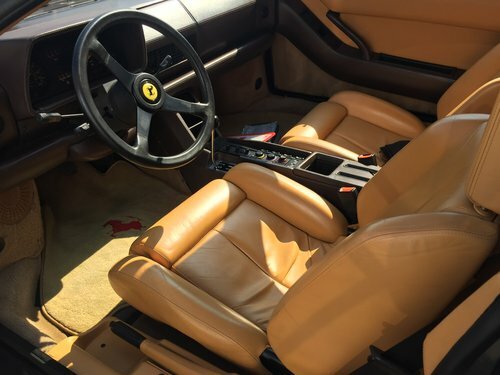 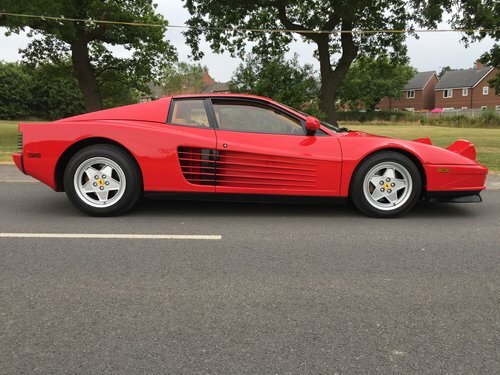 THIS IS A FABULOUS OPPORTUNITY TO OWN A WELL SORTED TESTAROSSA IN PERFECT CONDITION.